With Specialist care you can rely on, rest easy for Cataract Surgery, Glaucoma, Age Related Macular Degeneration and Retinal Cases. Feel at ease in our care. We have extensive experience in a broad range of eye conditions such as Cataract Surgery, Glaucoma, Age Related Macular Degeneration and Retinal Cases. to every detail of your care. Get in touch with us today. Do you have health insurance and are interested in hassle free surgery with an experienced NO GAP surgeon ? Get in Touch now. We can provide same day care for urgent cases and even after hours care for Retinal emergencies. Give us a call. Experience a service provided by expert ophthalmologists using sound clinical judgement combined with reliable data collected by skilled clinical staff using high precision equipment. Brisbane Eye Clinic is highly specialized in the diagnosis and treatment of cataract, glaucoma, and retinal diseases including complex macula surgery. Our doctors are experienced surgeons and our staff are dedicated professionals who care, connect and communicate. 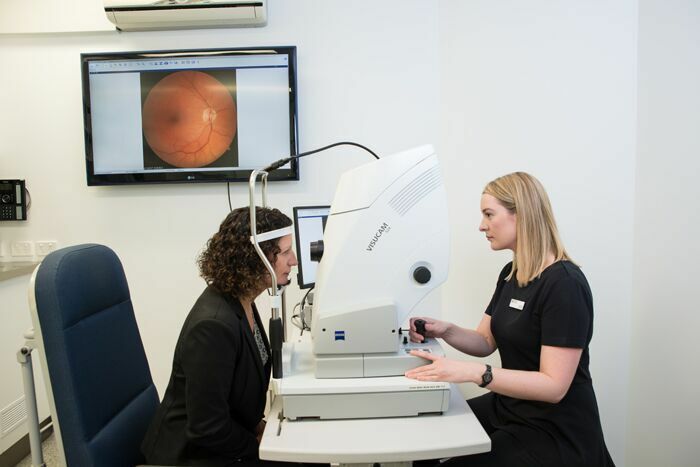 Located conveniently with consulting rooms in the city and on the north side, Brisbane Eye Clinic is a highly regarded practice dedicated to caring for patients with eye conditions for over 25 years. Certain procedures such as Cataract surgery, Retinal detachment surgery and Pterygium surgery are performed in day hospitals. Our surgeons operate at various locations on the North side, South side and Inner West. In most of these cases the surgery is completed on the same day by highly skilled surgical teams using cutting edge technology. From your first point of contact with Brisbane Eye Clinic, our friendly staff provide comprehensive information on your appointment; including appointment length, consultation fees, parking and even maps to access our locations easily. During your visit, it is our goal to provide quality information and transparency regarding your eye condition so that you understand your treatment and feel comfortable with the process. Eyesight is precious and we understand that patients would like to be seen sooner rather than later. We offer new patient appointments promptly with one of our experienced ophthalmologists who will take the time to diagnose and explain your condition and the treatment options available to you. We also understand that urgent requirements arise and we are very happy to accommodate urgent appointments as needed. Just give us a call. The Brisbane Eye Clinic experienced team provide a range of specialised services for our patients. Brisbane Eye Clinic offers comprehensive ophthalmic services, for referred patients, which focus on outcomes driven cataract surgery; advice and treatments for age related macular degeneration; careful assessment and comprehensive management of diabetic eye disease; experienced glaucoma care and evidence based treatment. If you are seeking an efficient and fast response for patients requiring private ophthalmic care for urgent retinal conditions, we can help. At Brisbane Eye Clinic we understand that urgent situations arise and our Ophthalmologists are very happy to prioritise these patients who require critical care. We know that expectations of Cataract Surgery are increasing as patients extend working life and enjoy fuller outside interests. As a longstanding practice, we not only welcome the challenge of meeting these changing demands, but have extensive experience in achieving optimum results. The Glaucoma Care and Optic Nerve Centre is a dedicated service offering expert care for Glaucoma patients by our experienced team. At Brisbane Eye Clinic we conduct a comprehensive examination which includes: Measuring intraocular pressure (tonometry), Testing for optic nerve damage by using Optical Coherance Tomography and measuring function with computer perimetry. An Ophthalmologist is On Call 7 days per week for private emergency eye care relating to sudden vision loss and retinal tear or detachment. Brisbane Eye Clinic provides comprehensive services for a broad range of medical and surgical eye conditions including Cataracts, Retinal Detachment, Glaucoma, Macular Disease, Diabetic Retinopathy, Intravitreal injection therapy, Ocular Trauma, Low Vision, Refractive Error, Red Eye and Uveitis. Professional services are based on a medical ophthalmology model framed by team based delivery which includes services that are provided by clinical optometrists. Dr Fiona Chan graduated from The University of Queensland in 1997 with first class Honours and commenced her residency training at the Princess Alexandra Hospital in Brisbane. She commenced Ophthalmology training as a registrar in 2003 in Queensland and was appointed to the role of Senior Registrar in 2007 in her final year of training. Dr Erwin Groeneveld is a highly experienced cataract and retina surgeon. Born in Sydney and educated in Queensland, he attended the University of Queensland Medical School where he won the Anatomical Dissection Prize. He completed Ophthalmology training at the Royal Victorian Eye and Ear Hospital. Experience an environment where Eye Specialists help people achieve the best possible outcomes by combining careful data collection, using high precision equipment and sound clinical judgement. We're not around right now. Please send us an email and we'll get back to you, ASAP.